FREE TICKETS - Food, Music and Dancing To "A Taste of Greece" Fest in Irvine This June 23, 24,25! - EAT WITH HOP! Home / CA / EVENTS / GREEK / IRVINE / ORANGE COUNTY / FREE TICKETS - Food, Music and Dancing To "A Taste of Greece" Fest in Irvine This June 23, 24,25! FREE TICKETS - Food, Music and Dancing To "A Taste of Greece" Fest in Irvine This June 23, 24,25! Who is ready to try some AUTHENTIC GREEK FOOD?! I know I am! The 39th Annual Greek Festival in Irvine is happening June 23, 24,25 and I am excited to try things I've never had before! 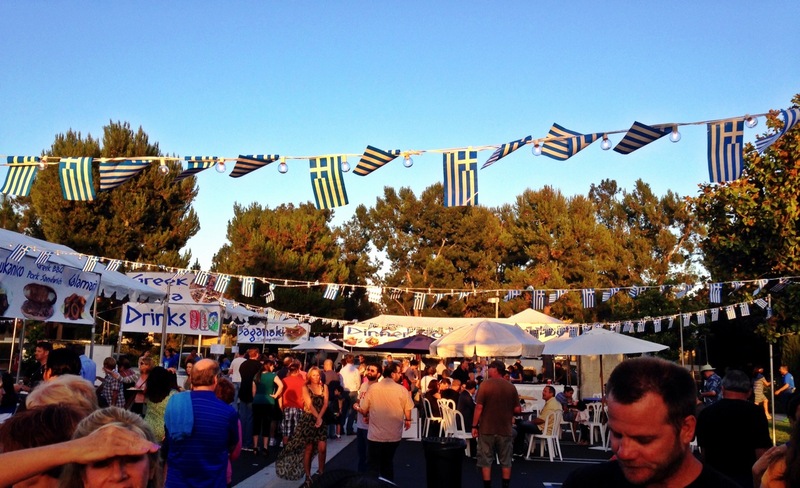 Orange County’s 39th annual “A Taste of Greece” festival will be held on June 23-25 at St. Paul’s Greek Orthodox Church (4949 Alton Parkway, between Culver Drive and Jeffrey Road, Irvine, CA 92604). More than 12,000 guests are expected to attend the three-day festival, which will feature traditional Greek cuisine and pastries, wine tasting, live music, church tours, authentic Greek dancing with lessons, and boutique booths reminiscent of the Plaka, a well-known picturesque historical neighborhood of Athens. The largest Greek Orthodox congregation in Orange County is hosting "A Taste of Greece" festival to offer an opportunity for everyone to experience authentic Greek dining, wine, music, dancing, and entertainment. This is going to be the 39th annual festival! *Free admission on Saturday June 24, 12pm - 5pm for seniors! *Free admission on any day with this link. Children under 10 get free admission. Free with complimentary shuttle buses transporting guests from public parking sites in Irvine.